The deets: J.Crew dress (sold out); ShoeMint heels; Elizabeth and James sunnies; Steve Madden bag; Tiffany & Co. bracelets (no longer available but good replica here); South Moon Under earrings; Lancome "Wannabe" lipstick. When this dress and I met it was that special kind of don't-care-what-it-costs-gotta-have-you love at first sight. 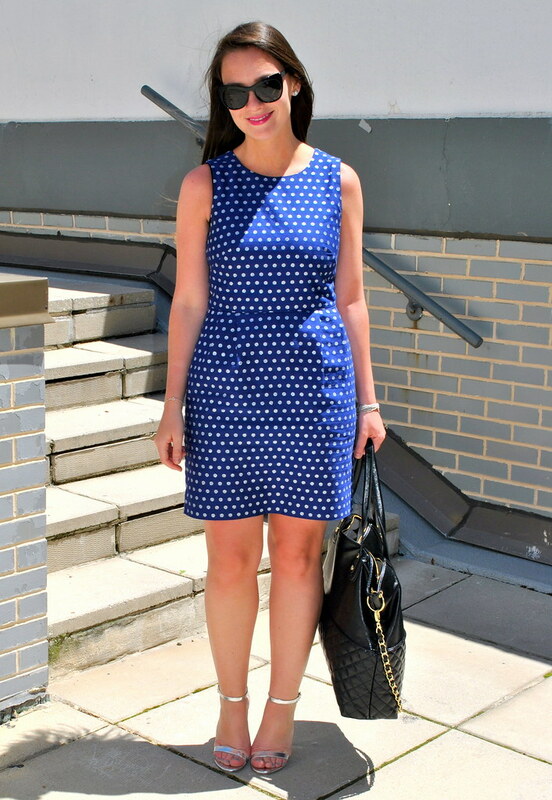 Could it really be possible that one little dress packed my favorite curvy girl cut, polka dots, metallic details, pockets, AND the perfect work-to-play transitional factor? Was it a dream? Thank heaven there was one left in my size. I have literally worn it about six times in the month I've owned it. It reminds me of a dress I had when I was a kid that I insisted on wearing every time it was clean and available. It was twirly, had strawberry pockets, and brought me the same I-feel-dang-good-in-this-baby feeling that this one does. you are having an Audrey Hepburn moment here! I LOVE this dress. It'd be perfect for work during the summer. So pretty, Erin! Love that lip color!! I'll have to scope it out! Love this dress on you and I was just eyeing those shoes on shoemint! Yeah, I would want to wear that dress all the time too. So perfect. You look fab! Lovin that last photo of you - gorgeous!!! 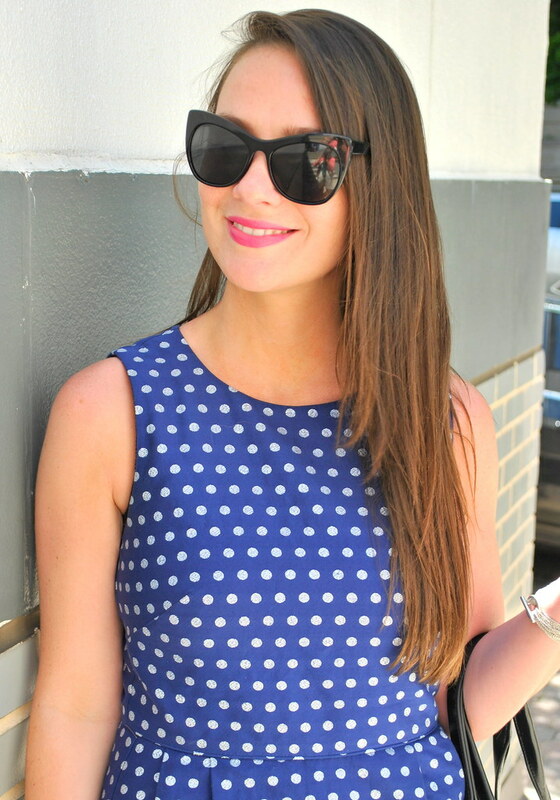 When you find a dress this flattering & cute, you buy it in every color! I totally get it! Looking good pretty lady!